Empire Medical Training is committed to delivering the latest evidence based advances being made in Anti-Aging and Regenerative therapies associated with the aging process. Empire Medical Training offers continuing medical education (CME) training, education, and activities associated with Integrative Medicine for enhanced patient care for healthcare professionals. Receive over 25 courses FREE with a Platinum Membership! Complete Anti-Aging, Regenerative, and Integrative Medical Training. Empire offers the most complete and up to date training in Anti Aging and Regenerative Medicine. (Full Course Roster listed beside this page). Our faculty are practicing, full time Board Certified Physicians (such as Anne Roberts, MD, Yale Graduate, residency trained from the Mayo clinic and Johns Hopkins and others) who provide a scientific foundation supported by clinical experience in their training modules as well as enhanced standard of care for patients. 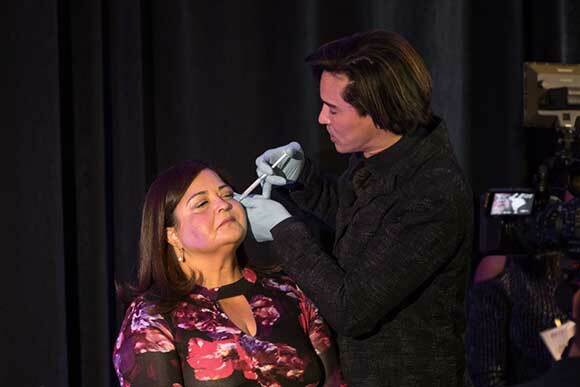 Empire Medical Training continues to provide education to physicians not only in Aesthetics and Traditional Medicine, but also in the newest applications in Anti Aging and Regenerative Medicine. Anti Aging and Regenerative Medicine does not replace conventional medicine but compliments conventional medicine for patients. In addition to Anti Aging medicine, Empire Medical Training offers courses in personalized, integrative medicine for a variety of patient conditions including Medical Weight Loss, Allergy Training, Hormone Pellet Training and much more. The opportunities for physicians in the Anti Aging industry are at their highest levels with the worldwide market to be valued at over 295 billion dollars by next year. More than 10% of the world’s population are over 60 years of age and this number is anticipated to grow by more than double by the year 2040. Patient perceptions have also changed in recent years as they are seeking to be more active longer and experience a higher quality of life during the aging process. Americans age 50 and older dominate our financial sector and it is this same group of individuals who we recognize as being the demographic who will pay the higher costs associated with the newest anti aging and regenerative modalities which are typically cash basis procedures. Empire Medical Training is committed to delivering to you the highest level of education so you may integrate these high demand modalities into your practice. Our teaching staff in Anti Aging and Regenerative Medicine is exceptional in not only their credentials but also in their real experiences and devotion to this integrative field of medicine in reshaping and redefining medicine and patient care. Empire Medical Testimonial by Alija Ali, D.O. Most Experienced- Our physician faculty staff incorporates these integrative medicine procedures in practice and is dedicated to the advancement of other healthcare professionals in this exciting field of medicine. Empire Medical Training has successfully trained over 100,000 successful graduates for over 20 years (beware of companies claiming the same). Our extended physician faculty have over 10 years training and teaching with Empire (no students or nurse trainers like other training companies) with over 600 seminar workshops held annually. Best Quality- IPADs, Computer Tablets, and other learning technologies are used during the courses including the Rapid Retain Repeat® method of training, Expert Faculty, with highest credentials, i.e. Yale University, Johns Hopkins (Anne Roberts, MD). Empire-Wow-Refund-Guarantee™ - ensures your satisfaction and quality guaranteed or your money back plus your travel expenses too! No other company can match our guarantees, Empire-Wow-Hands-On-Guarantee™ - Free One on one preceptorship guaranteed if more training needed! Complete manuals and training materials, program starter kits, all included free, much more. Watch hundreds of real Video Testimonials from Empire on YOU TUBE, or click on the “about us” link at the top of the page. Best Value- Empire remains the only accredited training institution to offer comprehensive training in over 34+ different Aesthetic, Regenerative, Medical and Business topics and in more cities and venues than anyone else. Our membership model allows you to attend all 34+ courses FREE OF CHARGE, with access to over 600 seminar workshops offered regularly throughout the USA and North America - unequaled in the industry!